Revitalizing food & pure flavors are at the heart of what we do. We make everything from scratch (from mouth-watering lattes steamed with hand-crafted syrups & POMilk to wholesome breads, flavorful bowls, vibrant salads, fresh juices and decadent cakes) with the highest quality, organic, wholesome ingredients. Pomegranate Cafe values the symbiotic relationship we share with the earth and recognizes the local community as our livelihood. A percentage of our profits is donated to animal-based charities. We support small, local farmers and artisans who share our commitment to providing exceptional products with ecologically responsible methods. 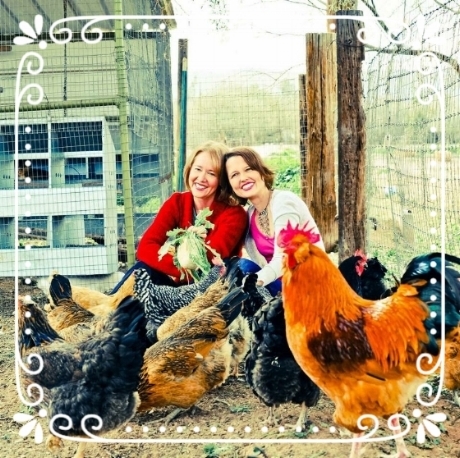 Pomegranate Cafe began as a shared dream between mother-daughter, Cassie & Marlene. Their vision was to create a community space where delicious flavor and nutritious ingredients came together with friendly service in a creative, earth-conscious environment. A seed was planted, and in the new year of 2010 Pomegranate grew into a lovely little neighborhood cafe. Cassie & Marlene come to Pomegranate with distinctive backgrounds. Marlene raised five children on healthy, wholesome, homemade meals. She also has decades of experience in the non-profit sector. Marlene was instrumental in creating the non-profit Kid's Voting, and helped it grow from a small local project to a national organization in over 40 states. After all her children were grown, Marlene earned a Certificate in Patisserie and Baking from Scottsdale Culinary Institute's Cordon Bleu. Marlene is especially skilled at making ideas come alive with a practical application. Cassie is a graduate of the Culinary Nutrition Certificate Program at The Natural Gourmet Institute, NYC. Her culinary adventures stretch from preparing private meals for individuals, children and communities to traditional restaurants. Cassie's skill and experience in the kitchen are mixed with a heaping dose of imagination and an appetite for new flavors. Cassie is a creative at heart - she loves playful collaboration and connecting community through food. Cassie & Marlene recognize how lucky they are to serve their community while doing something they love.